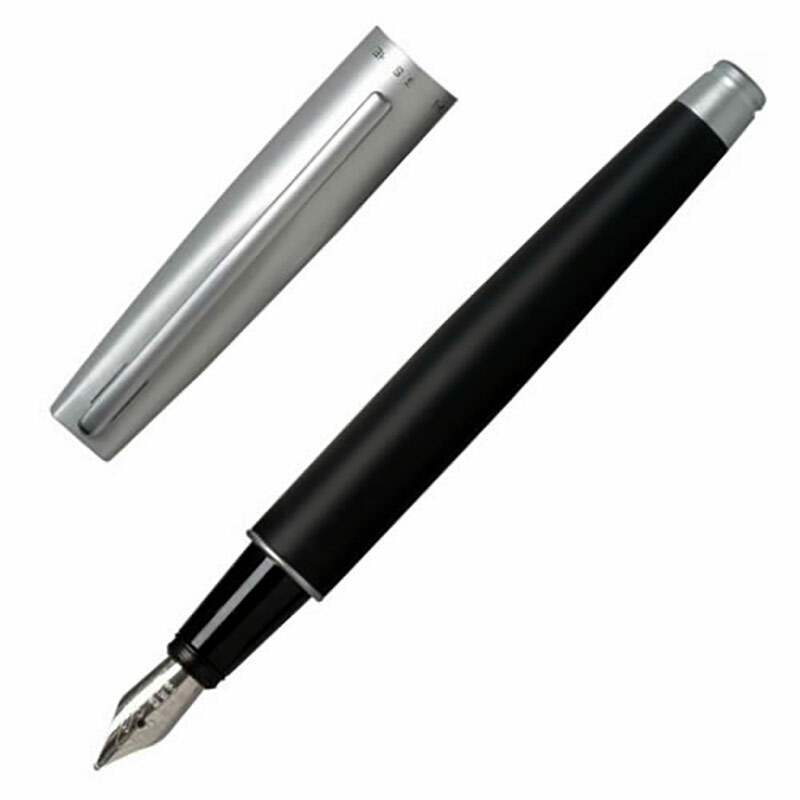 These gorgeous fountain pens are from the designer brand Jean-Louis Scherrer and feature a matt black body with matt silver cap and fittings. Ideal as luxury promotional pens or as corporate gifts, these finely crafted writing instruments are supplied complete with an attractive presentation case (as shown in image, below). We offer free engraving of text and logos on the lid of the presentation case, allowing you to create custom engraved gifts at no extra cost.